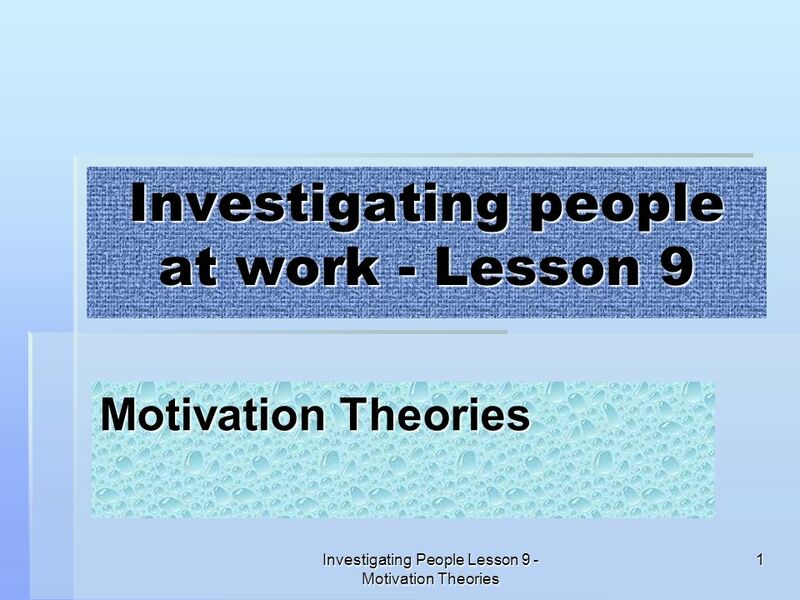 Download ppt "Investigating people at work - Lesson 9"
MOTIVATION. 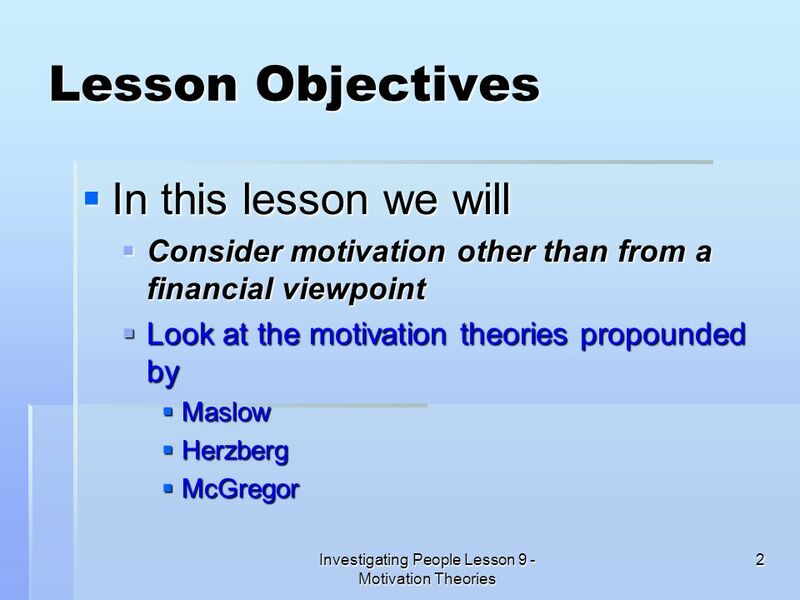 LEARNING INTENTIONS Students will be able to: Explain the motivational theories of Maslow, Herzberg & Locke Compare & contrast these theories. 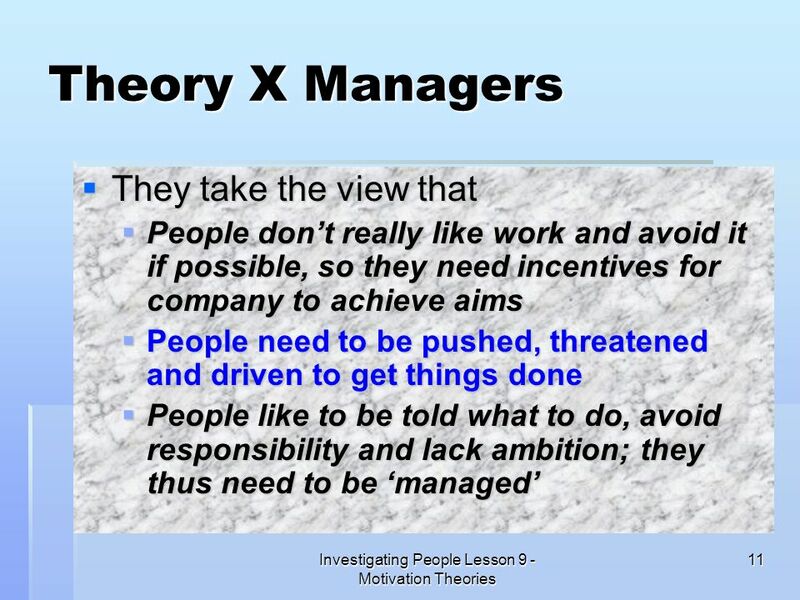 Motivation & Leadership. 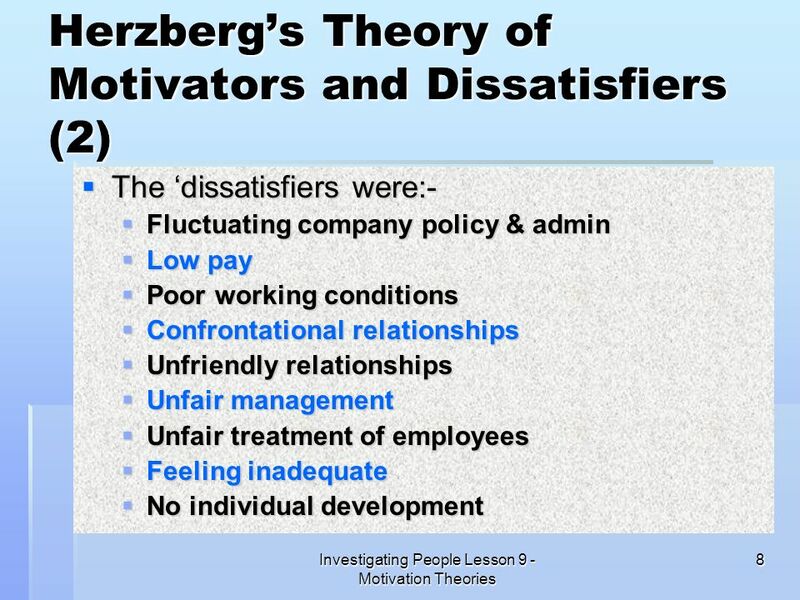 A Motive An internal force pushing a person towards a desired goal (Positive) or A fear making them retreat from an undesired. 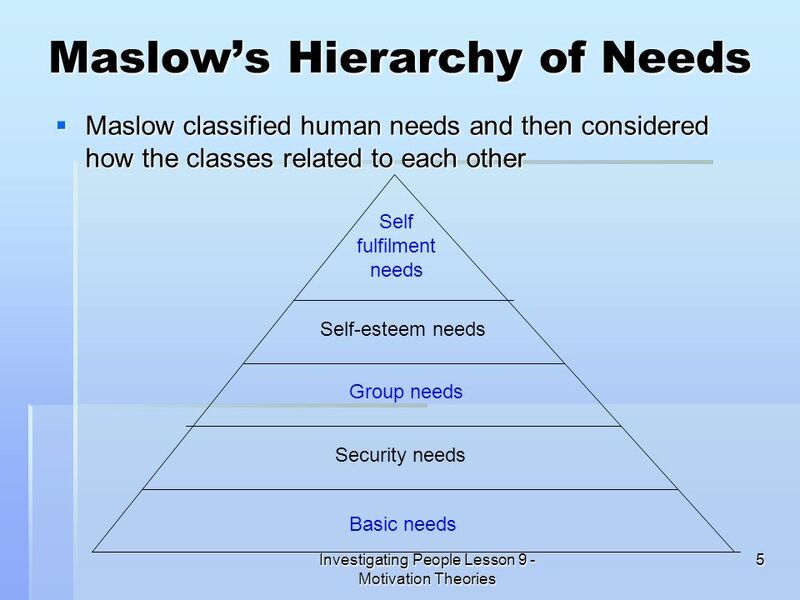 O Abraham Maslow attempted to formulate a needs- based framework of human motivation. 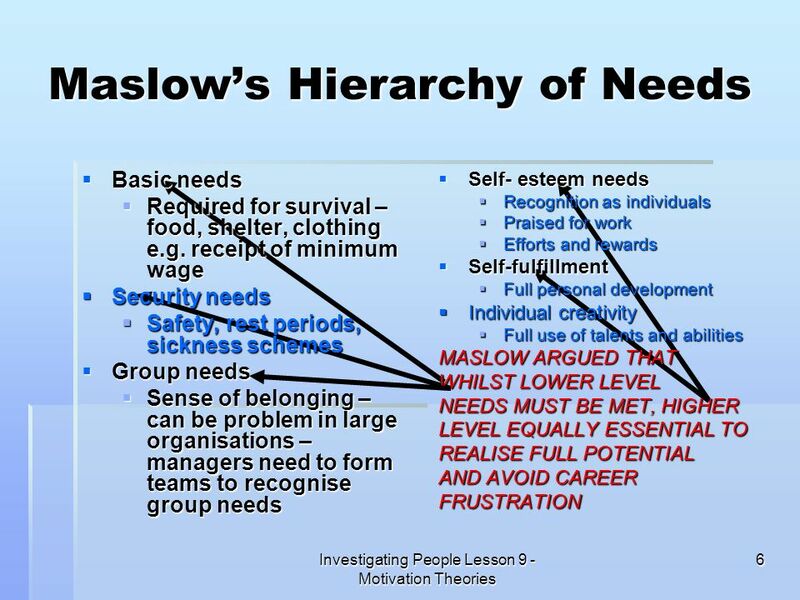 o The basis of Maslow's theory is that human beings are motivated. 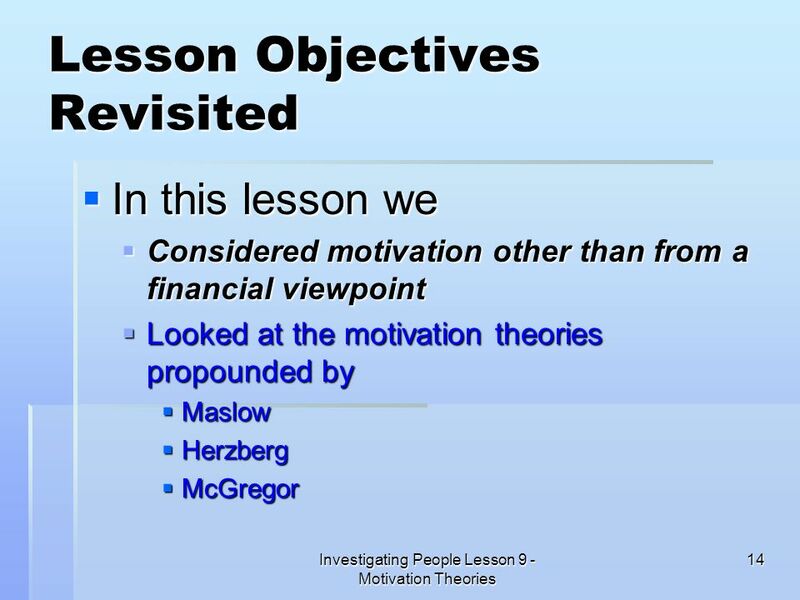 Copyright © 2003 by The McGraw-Hill Companies, Inc. All rights reserved. 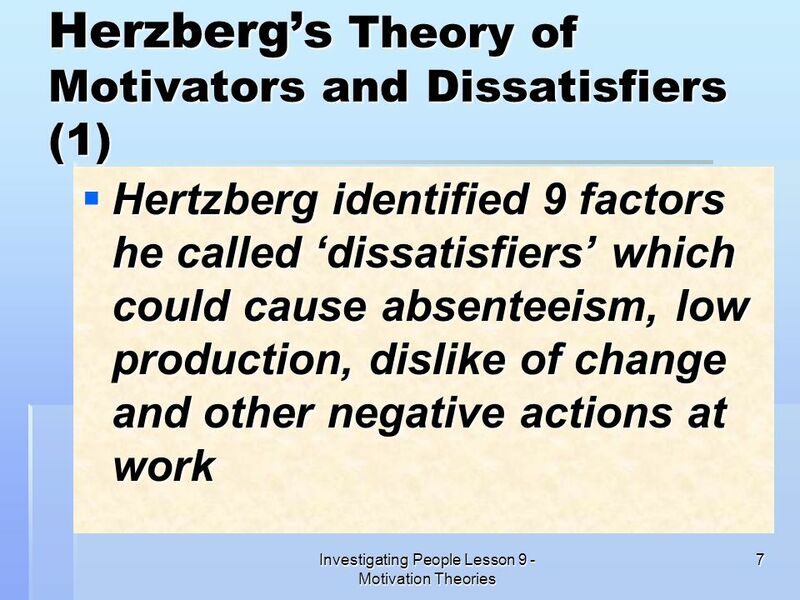 Chapter 8 Motivating a Sales Force I believe I can fly, I believe I can touch. MOTIVATION. AGENDA Admin stuff Class quiz – each of the points on checklist H/w check (pg 158, qs 1, 2 & 4) Recap of employee/er expectations (depending. 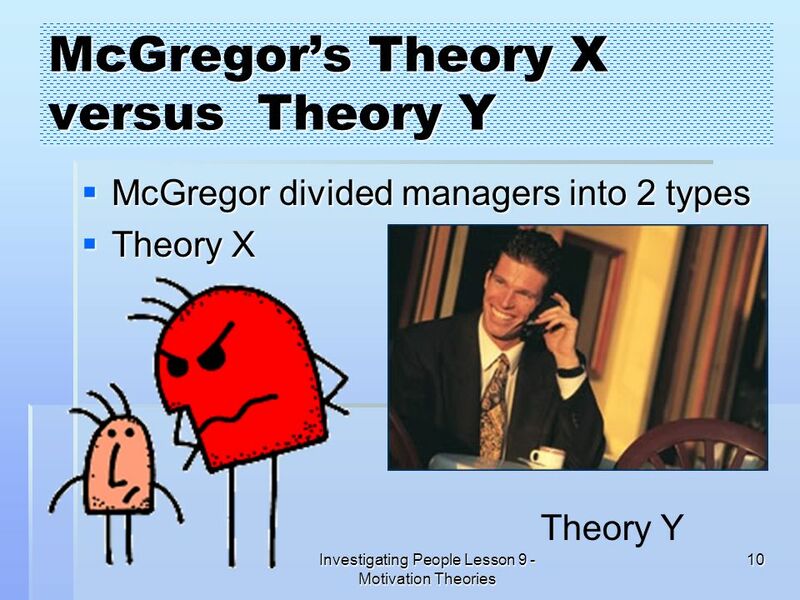 2.5 motivation. 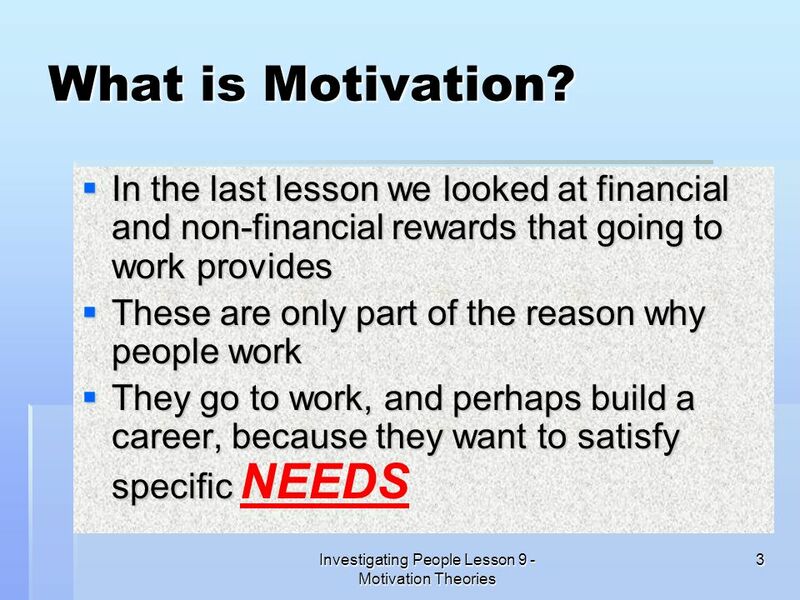 What is motivation? 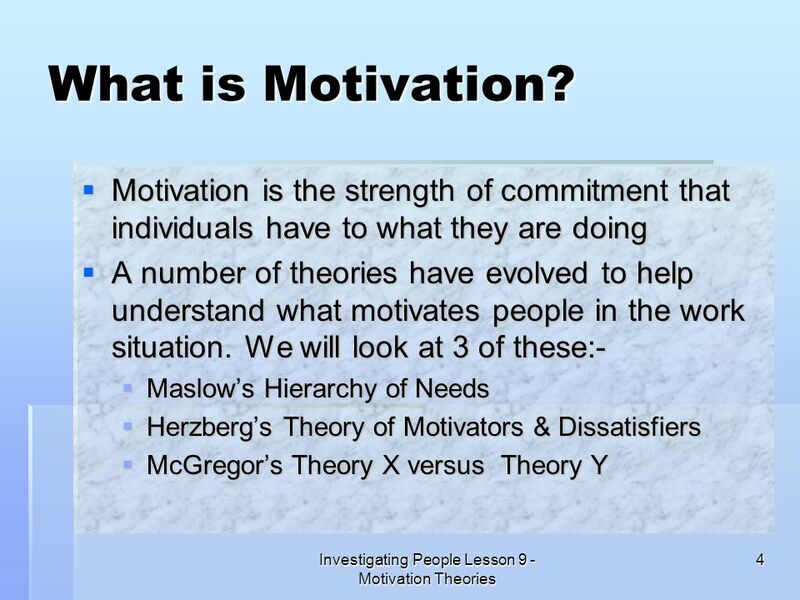 Motivation refers to the desire, internal need, effort and passion to achieve something. 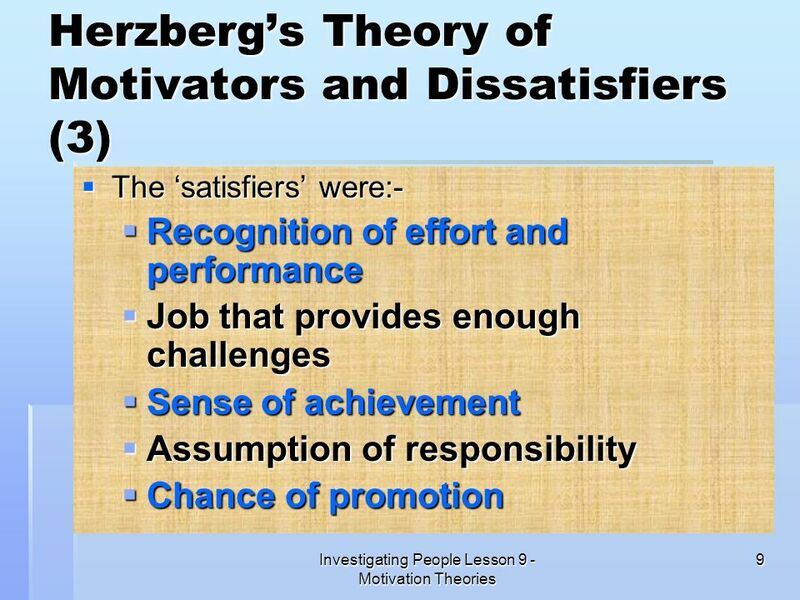 In organization, motivation.